Below are our cabin rates. If you are looking for the all-inclusive package rates, please go to our packages page: all-inclusive packages. River Dance Lodge is closed from late fall through early spring yearly. Check-in is at 4 PM and check-out is at 10 AM. Prices plus 8% Idaho taxes. Small cabins can accommodate up to 6 guests. Large cabins can accommodate up to 10 guests. All cabins and tents are non-smoking. There are no phones, televisions, Wi-Fi or air conditioning in the cabins and tents. 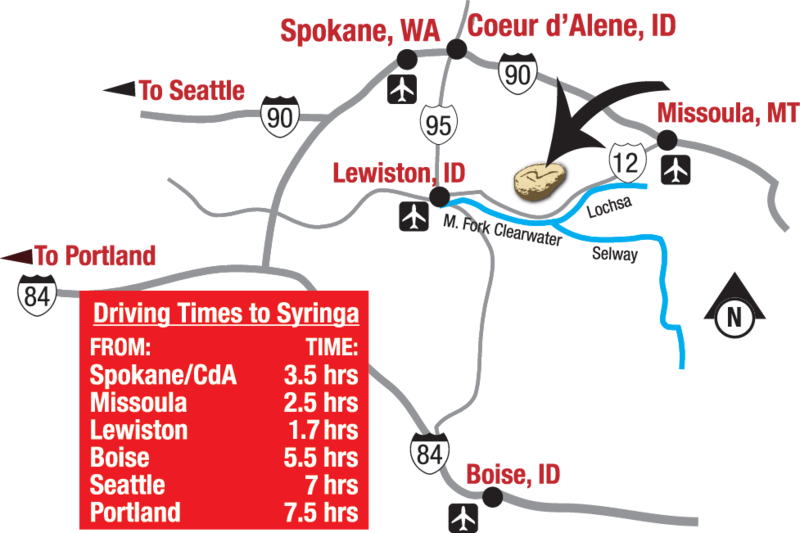 There is limited Wi-Fi at the Syringa Café and a public phone outside. The first bundle of firewood is complimentary - each additional is $6. The first bag of charcoal is complimentary - each additional is $4. We have one large cabin and one small cabin that are pet-friendly. If you need to board a pet there are a few kennels in the area. Gratuities: When you pay your final bill at the lodge for any incidentals, etc. you will be given an opportunity to leave a gratuity for our staff. As a guideline, we suggest 10% of your invoice as an appropriate amount. Please read our Terms and Conditions for more information about our policies.